NHS England » Health and Wellbeing Boards – if there’s a will, is there a way? Health and Wellbeing Boards – if there’s a will, is there a way? Like CCGs and NHS England, Health and Wellbeing Boards (HWBs) are approaching their first birthday as statutory bodies. When the reforms were introduced, HWBs were seen as a universally positive inclusion in the plethora of new structures and tiers – the place where we CCGs would come together with our Local Authority and Public Health colleagues, united behind our shared priorities, to improve and integrate health and care services for our communities. So how has that first year gone and were we right to have such optimism about the potential of HWBs? My own experience in Buckinghamshire has been variable. Our HWB has energy and will to do big things in the interest of our population. There is a shared acknowledgment that we cannot stay the same and that in order to protect and make sustainable our health and care services, we need to look at transforming how they are delivered. The Better Care Fund has given us a catalyst to focus our minds and enhanced our strategic discussions to drive our commissioning plans around integration and the exploration of new models for care delivery. This has tested our governance arrangements and made us realise that we didn’t really have any! The formal decisions of the board need to be connected with formal decisions within the CCGs and the council. We are committing significant amounts of joint funding through the BCF mechanism, and the HWB will effectively become accountable for signing this off. How can we contemplate going forward without a governance structure and lines of accountability that we all sign up to? HWBs were established as committees of local councils, which give them greater formal status than previous partnership boards. I understand the legislation behind the creation of HWBs was vague by design and intended to give HWBs the flexibility they needed to create sustainable strong partnerships that reflected the local circumstances. What binds us is the population whose health and wellbeing is our core business. Collectively we bring together significant experience and leadership, we just have different starting points; this brings with it the greatest opportunity to do things differently. There will be challenge to and from the partners around the HWB table: excellent, bring it on……the same old story is no longer good enough! I hear from CCG colleagues and have experienced first-hand, that at times boards look and feel like committees – can be inflexible, don’t always feel fit for purpose and sometimes not a vehicle that feels owned by all partners, meaning decision making and real strategic discussions can be cumbersome. For HWBs to have purpose they need to add value; what can the HWB do that no-one else can? I co-chaired a number of national workshops recently, attended by colleagues from CCGs and Local Authorities from many different areas. We explored some of these issues, and the same frustrations are evident around the country. However we heard some great solutions and examples of how local leadership in health and care are navigating these issues together, giving them the strong foundations to focus on pursuing their shared priorities and vision for improved population outcomes. Through the workshops we also explored ‘system leadership’ – not a term everyone likes – though it seems to have become one that is recognised. We debated what it meant, whether HWBs were (or should be) local system leaders and, if so, how do we make all 151 boards reach their potential? We heard some great examples of where HWBs are already occupying this space – with concerted effort and energy, they have matured to a state where they are now, collectively, making key strategic and shared decisions about their whole health and care systems locally and transforming care in partnership with their patients and citizens. Learning and examples of good practice will continue to emerge. We need to share, adapt and build on these models to create what is right for our own localities. Remember, however, it is crucial that HWBs invest some of their energy in getting their own structure and accountability right. There are tougher times ahead: make resilience part of the furniture. We come together only for one thing: the health and wellbeing of our population. They fund us – we serve them. 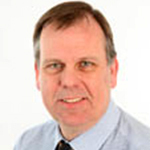 Dr Graham Jackson is GP Principal and Clinical Chair of Aylesbury Vale CCG and has worked within Buckinghamshire continually since 1988. He became a partner at Whitehill Surgery in 1991 and still thoroughly enjoys the challenge that primary care provides. In 1994 he brought together a group of local colleagues to found AYDDOC, an Out of Hours GP co-operative, of which he was Medical Manager for 10 years. He has been an LMC (Local Medical Committee) member since 1995. From 1992 to 2003 he was a Hospital Practitioner in Psychiatry and Chaired Neurolink (a national board of mental health experts providing educational material) for several years. Dr Jackson has been involved in health service provision in Buckinghamshire for a number of years having previously been Managing Director of Bucks Urgent Care and former chair of Vale Health (a GP Provider company). He remains a member of the Formulary Management Group for Bucks, and has joined the CCG Development Group with NHS England, and is a member of the Steering Group for the NHS Commissioning Assembly. He is also a member of Buckinghamshire Health and Wellbeing Board and the Strategic Clinical Network oversight committee for Thames Valley.